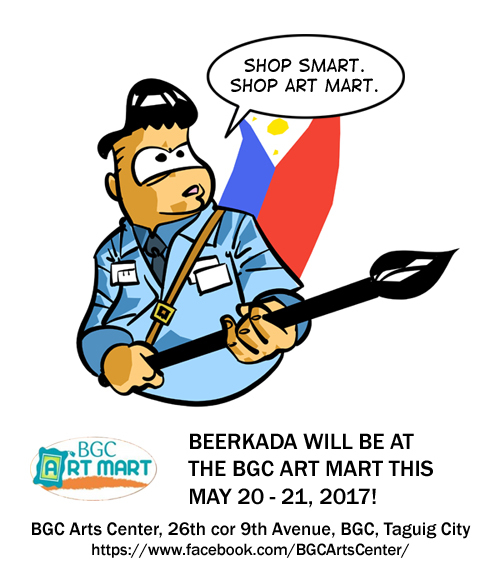 Beerkada Comics » BEERKADA at the BGC Art Mart this May 20 – 21, 2017! BEERKADA at the BGC Art Mart this May 20 – 21, 2017! Head on over to the upcoming #BGCArtMart happening on May 20-21, 2017! BGC Arts Center, 26th cor 9th Avenue, BGC, Taguig City. BGC Art Mart. Linking artists with communities.